THE Minister of Energy and Power Development Joram Gumbo yesterday dismissed reports circulating on social media that fuel prices will increase. 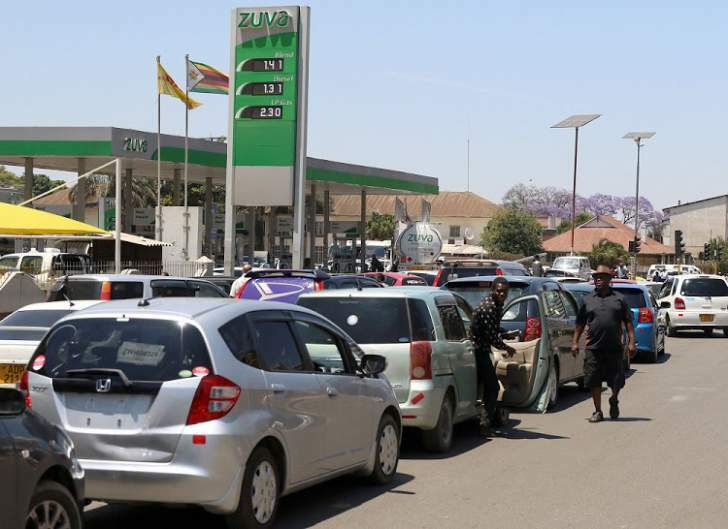 The reports claimed that fuel industry stakeholders and the Reserve Bank of Zimbabwe (RBZ) met and agreed to increase the price of petrol to $5,50 from $3,30 and of diesel to $5,15 from $3,10. In a statement , Minister Gumbo assured that nation that Government was not planning to increase fuel prices anytime soon. "There are statements circulating on social media alleging that fuel prices are going to increase to $5,50 for petrol and $5,15 for diesel. These statements are false. I would therefore like to dispel these rumours. "According to the statement circulating on social media, a closed door meeting was held between fuel stakeholders and the RBZ. The ministry would like to assure the general public that no such meeting was ever held and no plans to increase fuel were ever considered," said Minister Gumbo. He said following the review of fuel prices on January 12 this year, Government was not planning to increase fuel prices again. "The RBZ Governor Dr John Mangudya in his monetary statement indicated that foreign currency requirements for Government expenditure and other essential commodities that include fuel, cooking oil, electricity, medicines, and water chemicals shall continue to be made available through the existing letters of credit facilities and the Foreign Exchange Allocations Committee.